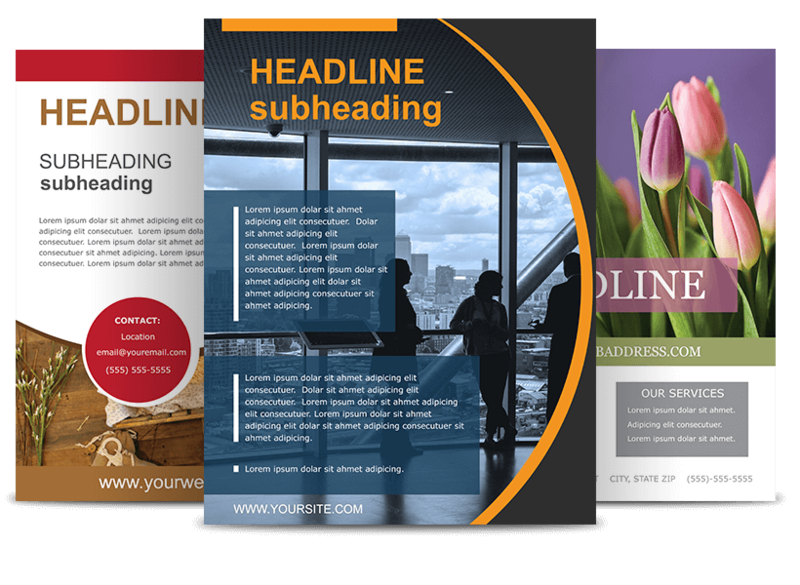 April Sale: Get 10% Off on custom flyers today! Offer ends May 1st. Turn your pictures and text into amazing custom flyers. Quality Paper Flyers are printed on color rich 100 lb. paper. Fast Shipping Flyers are usually printed and shipped in 3-4 business days. Low Prices Our prices are ultra competitive at any size and quantity of flyers. Make a Custom Flyer Upload unlimited images to your flyer. Drag, zoom, and rotate your images to get the perfect arrangement. Add Custom Text Add custom text to your flyer in a wide range of styles and colors. Add Templates Create your own version of the popular motivational poster template. R. Whaley in Louisville, KY said... We just received our order of flyers and they look great. Professional quality and the price is very reasonable. Kendra C. in New Providence, NJ said... I made some flyers for work and OpenPrints got them here fast. R. Robinson in Grand Rapids, MI said... My flyers arrived damaged in shipping and OpenPrints replaced them quickly. I would recommend them to everyone. J. Martinez in Colorado Springs said... I had 100 small flyers made to hand to customers and they really helped. I will be ordering from you again. William S. in Clearwater FL said... Simply put OpenPrints is a great company to work with whether it be for flyers, posters, or canvas. Mandy in New York, NY said... So so happy with my flyers that just got delivered. I will definitely be back with more orders soon! How long until my flyers arrive? 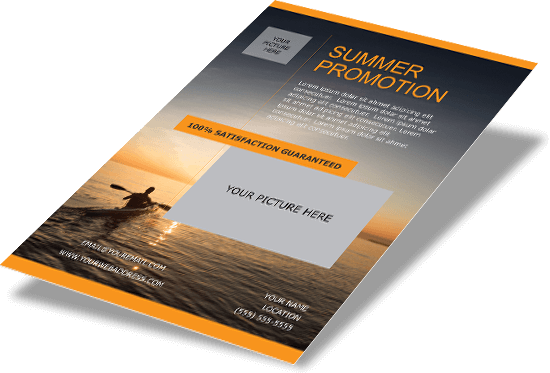 Custom flyers usually ship within three business days and rush services are available. We use high quality paper and color true printing to ensure your print comes out amazing. OpenPrints is dedicated to top shelf quality.